We've been busy for the last couple of days and got several mods done. I'll make a few posts, to cover them all. 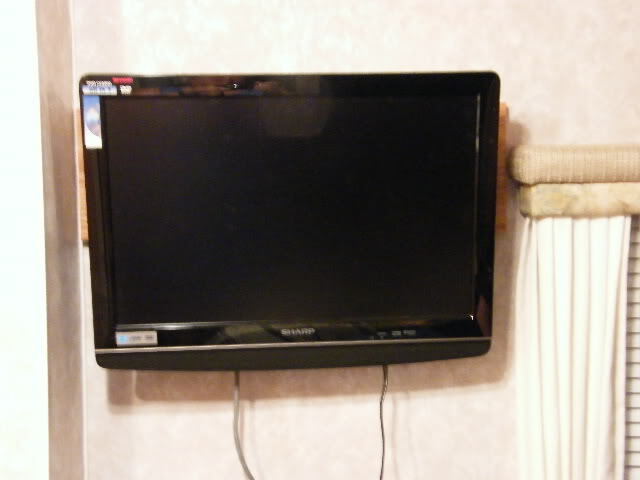 The TV shelf in the bedroom, was not the best way to hold our TV.. We had a few ideas and even tried to make it to where the TV could be swung around and viewed from the living area. That idea didn't work, because the arm itself was too short. We agreed on an idea and here it is! 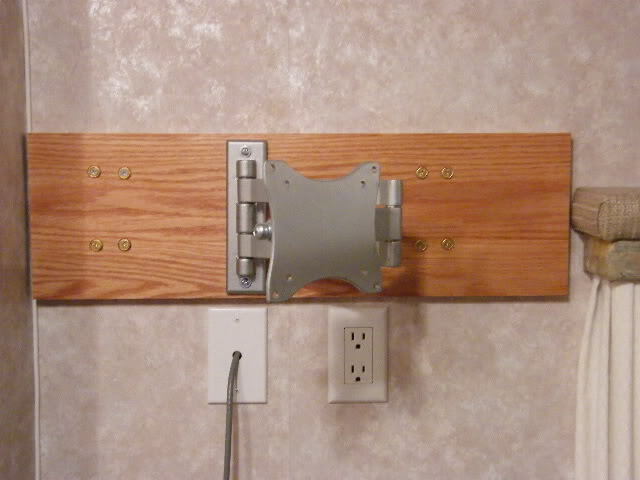 I removed the existing shelf and it's brackets. We bought a piece of 1x6 oak and some Minwax stain/polyurethane mix. I cut the board to 23-3/4" and Kitty got to giving it three coats of stain. Kitty made a template out of paper and marked the existing holes on it. I drilled 3/16" holes, for the mounting screws. 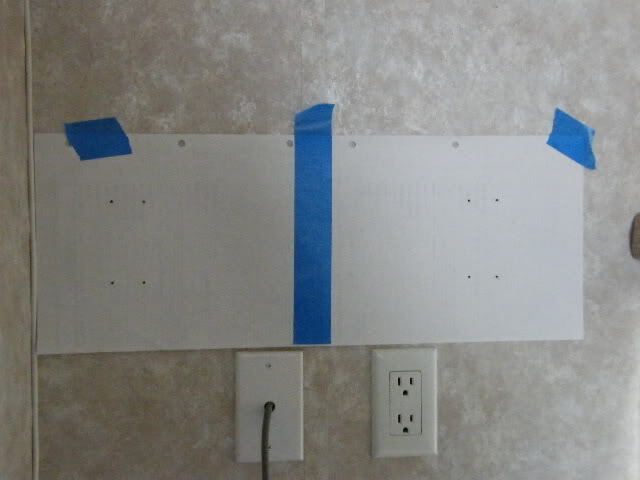 Once the stain was dry, I drilled two 1/4" holes for the TV arm. I used some Tee nuts on the back of the board and some #10-24 machine screws, to secure the arm to the board. I did not want to just use screws to hold the arm, for fear that they could possibly pull-through. The Tee nuts protruded out from the back of the board slightly, so I covered them with sticky-back felt. I also stuck the felt to the four corners of the board itself. The felt is there, to protect the wallboard. 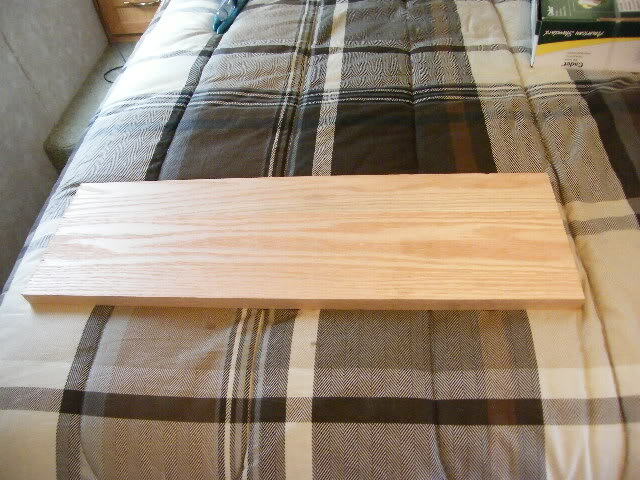 The oak board, before holes or finishing. 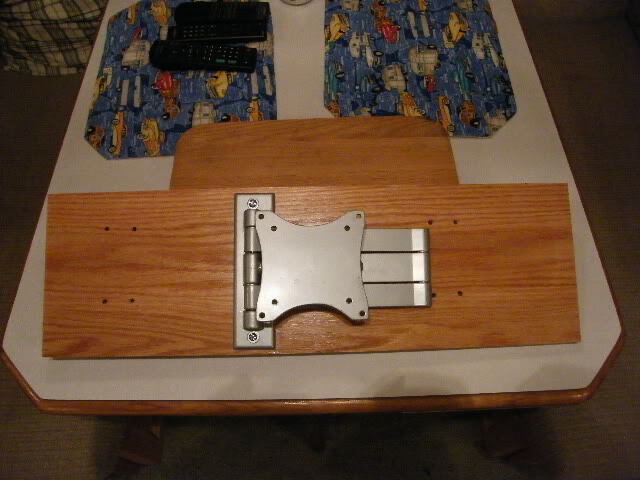 Here's a pic of the finished board, with the TV arm mounted to it. A pic of the board, mounted to the bedroom wall. 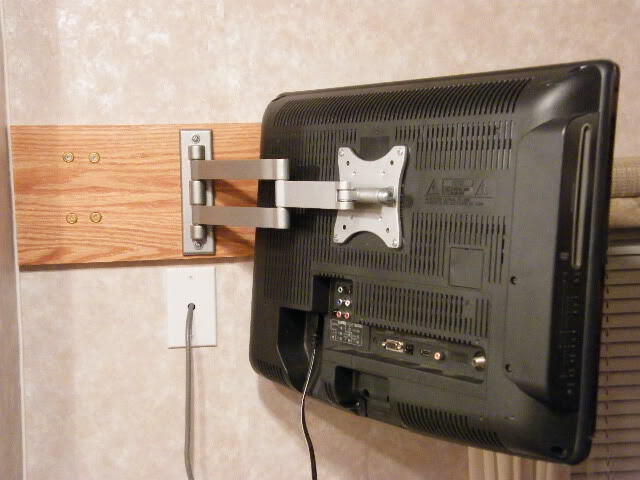 Here's the TV, mounted to the arm. Here's the TV, with the arm folded back. I tried to center the TV between the valance and the wall. 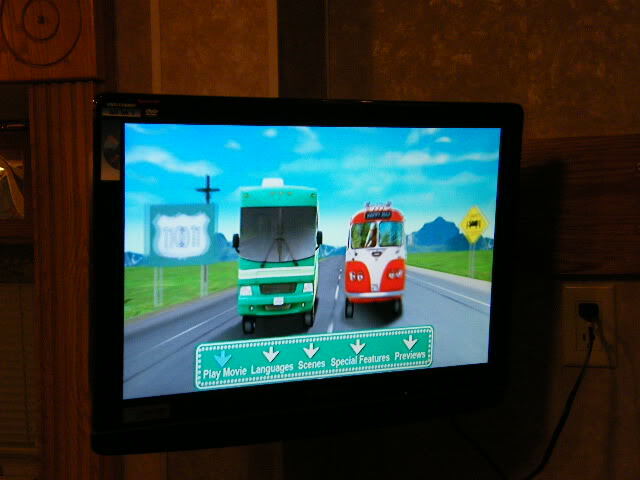 According to Kitty no camping trip is complete, without the movie RV playing! Looking good!! Thanks for posting.